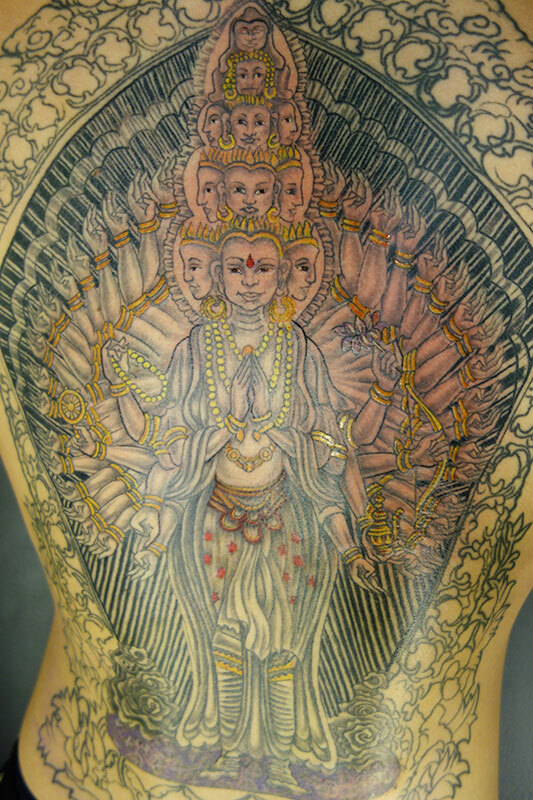 I am extremely happy with my Avalokiteshvara tattoo. Rachel’s working knowledge of the body and of Buddhist symbolism made her the perfect artist for this bodhisattva of compassion. I was especially impressed with the extensive preparation that she put into fitting such a detailed design into a limited space. I am proud to have this image as part of my life and could not be more satisfied with my experience and tattoo! Thank you Rachel! !